In order to meet our mission and provide high-value services and programming in our community, please support our annual appeal by making a donation. Please join me in support of the Wall Street Theater, this historic landmark first opened its doors in 1915 as The Regent Theater, and served as an important destination on the vaudeville circuit. John Philip Sousa, John Barrymore, and Mary Pickford all graced its stage. In the 1930s, The Regent was renamed The Norwalk Theater and for nearly 50 years it operated as one of the finest theaters in New England. Reincarnated as The Marquee in 1993 and later, The Globe, the 1990s saw the theatre as a music club play host to many national acts, including The Wu-Tang Clan, Living Colour, David Lee Roth, Live, The Go-Gos, Violent Femmes, and Waylon Jennings. 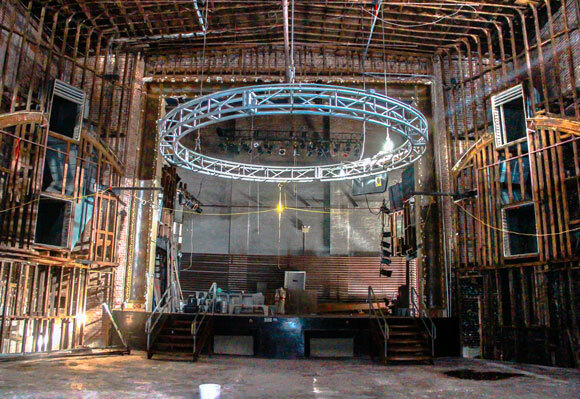 The theater at 71 Wall Street has been a fixture in Fairfield County for 100 years. Today, Wall Street Theater is a 501c3 non-profit organization whose mission is to provide diverse programming and promote arts education, thereby enriching the cultural life of the greater Norwalk community. With the assistance of civic-minded individuals just like you, we will be able to serve our community by allowing us to Entertain. Enrich. Educate. Every donation makes a difference to help us grow and thrive for generations to come. Thank you in advance for your generous support. See you at the show! The Wall Street Theater is a non-profit 501(c)(3) organization and as such contributions for the Wall Street Theater are tax-deductible to the extent permitted by law. A receipt will be sent to you acknowledging your donation.